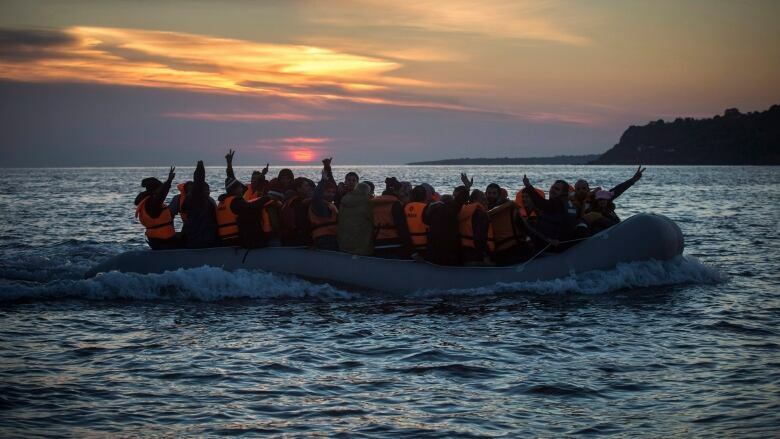 World Refugee Day is a good reminder of the work that needs to be done on a daily basis, even right here in Waterloo region, according global migration expert and Wilfrid Laurier professor Robert McLeman. World Refugee Day is a good reminder of the work that needs to be done on a daily basis, even right here in Waterloo region, according to a Waterloo global migration expert. Robert McLeman is an associate professor of geography and environmental studies at Wilfrid Laurier University and said people in Canada and Waterloo region have been compassionate in welcoming refugees, giving their time, money and energy. "The purpose of days like today is to say that is fantastic, we need to do more of it, the job's not done, it's actually only getting started," McLeman said in an interview on The Morning Edition on Wednesday, also World Refugee Day. "We need to be reminded on a regular basis that the problem is not getting better, it's getting worse around the world." McLeman pointed to ongoing controversies in the United States, where there was outcry when border officials separated children from their parents when they arrived in the country. U.S. President Donald Trump recently signed an order to stop the practice. "Refugees are a specific group of migrants who move because they have no choice but to do so. To not migrate would put their lives or their families in jeopardy," McLeman said. He noted it's not a criminal act to seek asylum or be a refugee. "We hear this language, particularly in the media, of saying 'illegal migration.' Well, migration itself is not an illegal act, certainly not here in Canada," he said. On a global day like World Refugee Day, it might be difficult for people to understand how they can help. McLeman suggested people could give a few dollars to groups that help refugees settle in the area or aid groups who help refugees in the countries where they are fleeing from. He also suggested that if people can spare the time, they could volunteer at a local organization like Reception House. "There's so many people more who are in need of that assistance," he said. "The more that countries like the United States and countries in Europe start to turn away from this problem, the more important it is that people like us step up and say, 'OK, we're going to help.'"